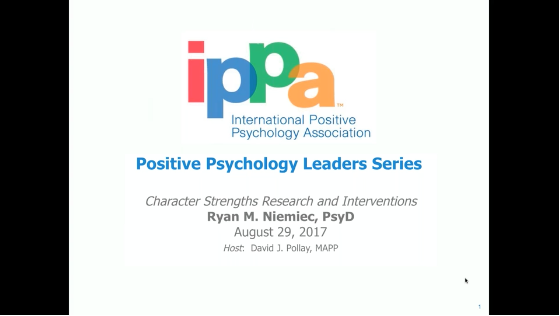 International Positive Psychology Association – Character Strengths Research & Interventions, Ryan M. Niemiec, Psy.D. Character Strengths Research & Interventions, Ryan M. Niemiec, Psy.D. Hello! This content is for IPPA members only. If you are a member, simply log in with your username and password below to access this page.